The compact car has become a popular choice with many used car shoppers thanks to its ability to offer spirited driving dynamics and outstanding fuel efficiency. While the segment does produce many vehicles with impressive fuel economy ratings, it also offers some that can give you the technology, comfort, and safety you also desire. One vehicle that is setting itself apart from the competition by offering a long list of features and options is the Chevy Spark. Keep reading to learn more about many of the technology features and comfort options that are available in the many trim levels of the Chevy Spark. 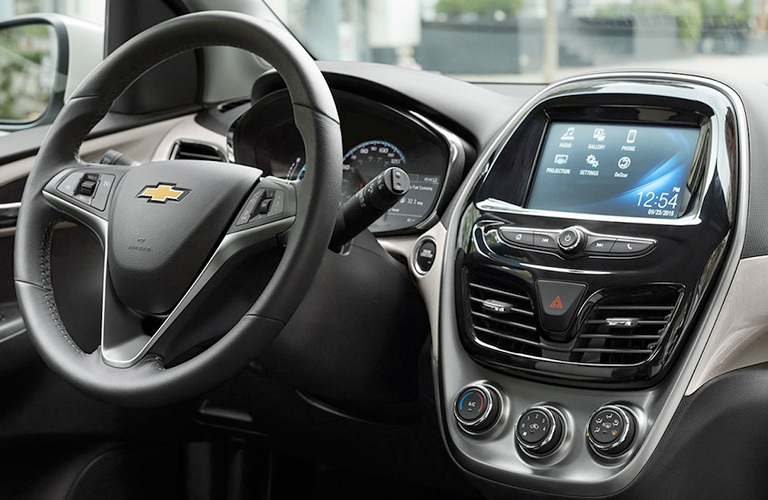 On the inside of the Chevy Spark, you’ll find an impressive list of innovative technology features to choose from that help keep you connected and entertained while on the road. From a touchscreen infotainment system to a Wi-Fi® hotspot, the Chevy Spark has just what you’re looking for in a used car. The lengthy list of high-tech features available in a Chevy Spark include driver and passenger favorites like Chevy’s OnStar® system, 4G LTE Wi-Fi, a premium audio system, steering wheel audio and phone controls, an anti-theft system, a 7-inch touchscreen display, Chevy MyLink infotainment system, Bluetooth® phone and audio connectivity, voice controls, a USB port, satellite radio, smartphone app integration, and much more. 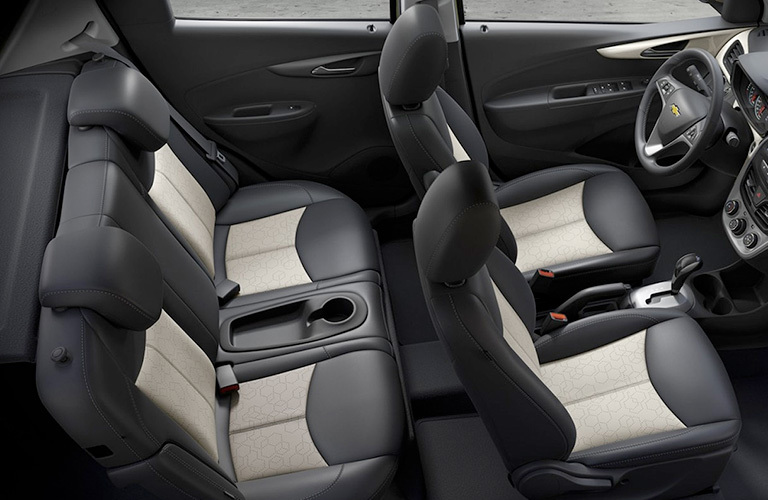 When it comes to finding a used car that offers excellent interior comfort, the Chevy Spark is an easy pick. With its many available trim levels to choose from, you’ll have no problem finding one that has all the comfort amenities you want in your vehicle. The impressive list of comfort features and options offered in a Chevy Spark includes items like heated front seats, premium vinyl upholstery, cruise control, remote keyless entry, power locks, an outside temperature display, a height-adjustable driver’s seat, air-conditioning, power windows, and many others that help make every ride more enjoyable. What is the Fuel Economy Rating of the Chevy Spark? This entry was posted on Friday, January 25th, 2019 at 9:11 am	and is filed under Chevy Spark. You can follow any responses to this entry through the RSS 2.0 feed. You can skip to the end and leave a response. Pinging is currently not allowed.